I love creating Case Studies from what works. I learn a lot from them and I like sharing my smart friends with you. 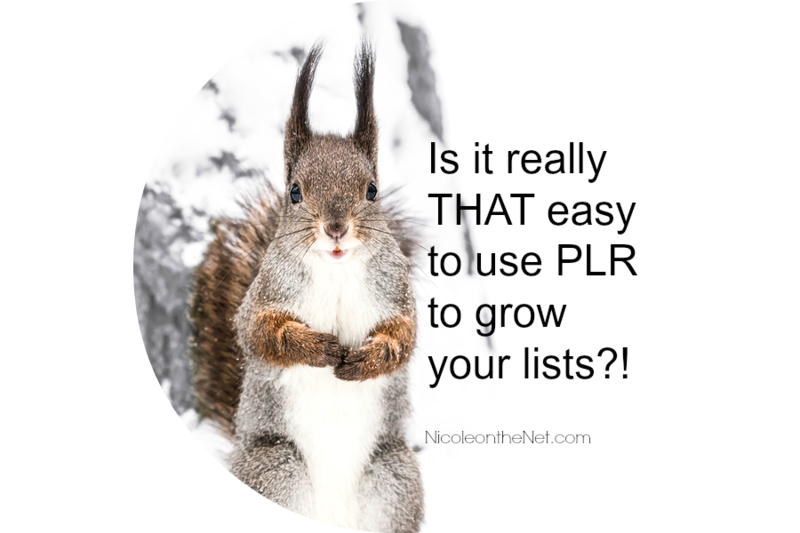 A lot of my readers wonder what you can do with done-for-you content and PLR to actually grow your lists. 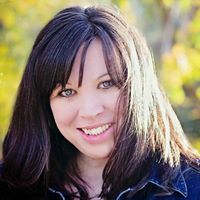 Here is a great case study of someone who took one of the PLR reports she bought and turned it into a great list builder. Angela Wills is a Smart Cookie! 1. She bought the original done-for-you / PLR package. You can still buy rights to it here too. It comes with a report and a printable. 2. Angela updated those documents a bit, branded them to her business, and turned them into pdfs. This is super easy to do yourself, or you can get your favorite teen to do it, or hire someone. Heck, you can even find someone on Fiverr. 3. She set up a new list for the workshop. You only need an autoresponder like Aweber. This is about growing your lists, so don't panic or wait to do this until you have the “perfect” shopping cart. First, it doesn't exist. Second, you can start by growing a relationship and promoting affiliate offers to your people until you create your own products. 4. Next she set up the webinar that she is inviting people to sign up for. 5. She started a Facebook group for the vision board workshop members to build her tribe. This step takes about 5 minutes to set up. It's pretty easy. I'm also encouraging her to set up a Facebook event and run sponsored posts for the workshop as well so she'll be doing that, too. But how will this be profitable for her, you ask? 1. She's growing her list which in itself is valuable. 2. She can promote affiliate offers to them. We're brainstorming these together. 3. She's inviting all of the people on her lists to join her Laptop Lifestyle Business Club and will be telling them about her other low cost workshops. Where do you get PLR like this that you can use to grow your lists? Here are some of my favorite places to get quality PLR. If you would like to have access to pick my brain too, there are a few ways to do just that. 1. Private, Confidential, One-on-One Coaching with Me. I only work with up to 5 people at a time, and I love my coaching clients. You can see who I work with and get an idea if you're a good fit here. If you're a female entrepreneur, consider joining me at the beach for our 7th mastermind retreat. 🙂 Bold breakthroughs happen at the beach. Kelly McCausey and I host very intimate beach cottage events where it's just the two of us, one virtual assistant, and up to 3 guests (perhaps you). We work on and in your business at the beach. 🙂 If you're interested in that, you can contact Kelly to ask questions. 2. Not changing it to make it special. Angela did everything right here. I hope you'll check out her new program. PS. Don't forget to sign up for Angela's FREE Vision Board Workshop so you can start planning for an awesome 2017. Angela is a warm, smart, caring teacher and you'll love her. I appreciate shares and I adore comments! Please share your thoughts. It is really a good post to read. you have mentioned of important things. So, thanks for the share. Really good post. Gave me lots of ideas. I’m a little stuck on the ’email your lists’ part; I don’t have a list/following…..
Any checklists on how to grow your list from 0? Hey Bo! Good to see you here. Now the next part is to get lots of people to see the sign up and to start communicating with those that sign up. Even if it’s only 3 people, pretend it’s 3000. Hugs and I look forward to seeing you in Daytona for Beachpreneurs Beach Camp. Angela is a VERY smart cookie! She is my coach and I have been with her and part of her Laptop Lifestyle Business Club for a year now and have learned sooooo much from her. She sure is. You’re very smart to learn from her. Thanks so much for stopping by and taking the time to comment.